Our success depend on your satisfaction, so your feedback is very important to us, we will be very appreciated if you can give us positive feedback, thank you very much!! Parcel will be shipped within 3 days after you payments, we ship to the confirmed amOddress on the aliexpress, so please make sure your received ADD are all correct. 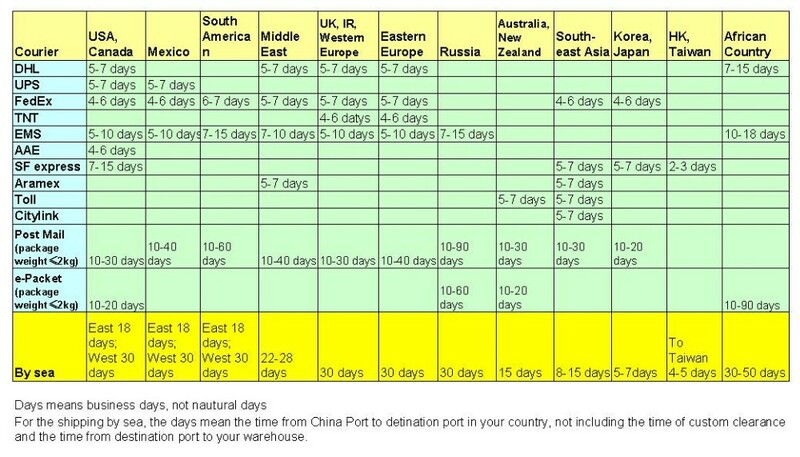 Normally your parcel will arrived with 5-7 working days by DHL, you can also tell me the shipping method you needed, we will offer you the best price based on your reference.
. store : focus on packaging containers for cosmetics, perfumes, essential oils, serum, medicines, foods, storage use. Welcome to visit our homepage to see more items.